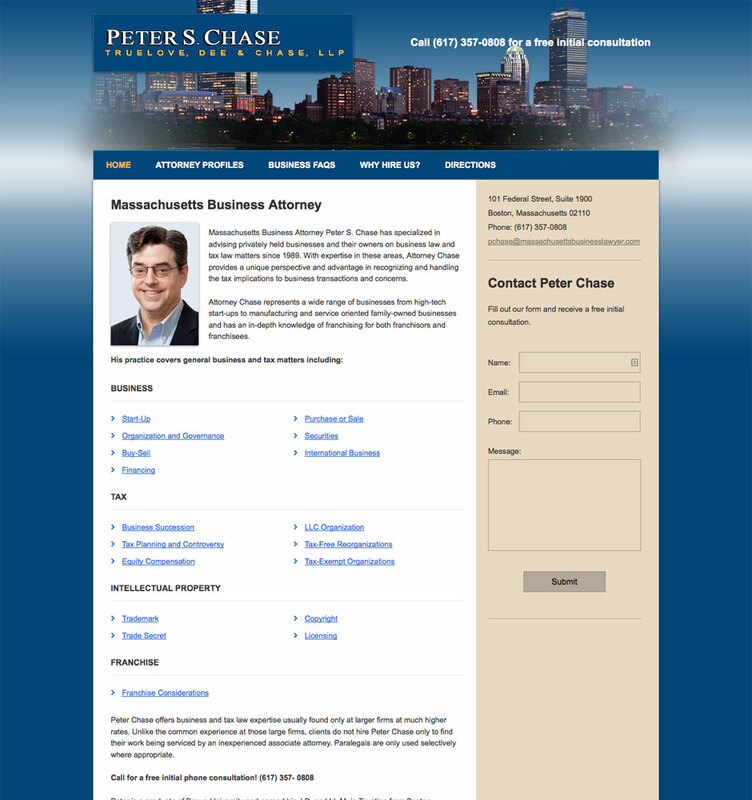 Boston business attorney Peter Chase contacted GetReady Web Marketing to redesign his website because it was starting to look outdated. One of his goals was that he wanted people to realize he is located in Boston. We featured a picture of Boston to show this. We created an effective design with a call to action on every page (Contact Peter Chase). This design has been successful at capturing many more leads than his previous design.